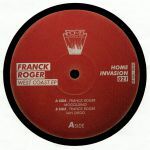 Review: Certified craftsman and OG in the game, Franck Roger remains as on-point as ever with these two ageless slices of sweet and sassy deep house on his own Home Invasion. "Love Is What We Need" is a dreamy strutter with a plucked synth bass, crisp beats and rippling chords that rise with Chanderesque charm while "Do It My Way" slips into something more comfortable with its sultry subtly filtered loop and insistent-yet-unhurried fluid sense of movement. Total class. 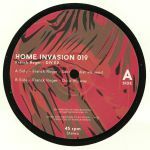 Franck Roger - "Get Ready"
Sean McCabe - "Freak It"
Delano Smith - "Moon Dance"
Review: Having previously used the Body 'N' Deep label as a vehicle for his own productions, main man Jovonn has decided to mix things up a little. "BND Projects Volume 1" gathers together a white-hot selection of deep and soulful jams from some of the long-serving American producer's friends and contemporaries. 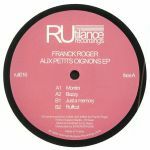 French legend Franck Roger steps up first with the warehouse-ready stabs, bumping drums, foreboding synth-bass and spaced-out vocal samples of "Get Ready", before Good Vibrations Music founder Sean McCabe wraps New Jersey style organ riffs around chunky drums, sparkling solos and rich chords on "Freak It". 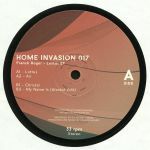 Over on side B heavyweight Delano Smith delivers some superb, string-laden Motor City deep house, while Monocue delivers the wonderfully deep, hypnotic and driving "Borrowed Days".